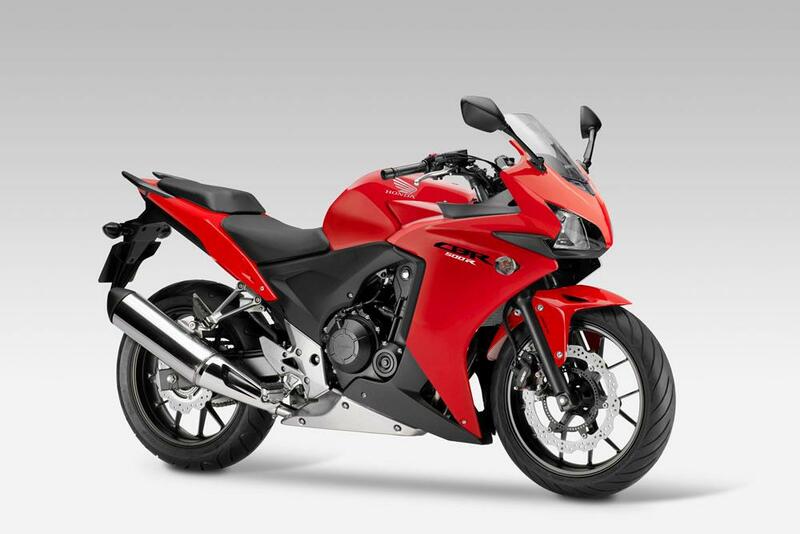 The CBR500R was designed to maximise the new 47bhp regs while at the same time being both attractive and affordable. Top speed is limited to 112mph but there’s fun to be had in getting up to speed and the CBR's handling exceeds expectations. All in all, this is an engaging, fun, and satisfying bike. 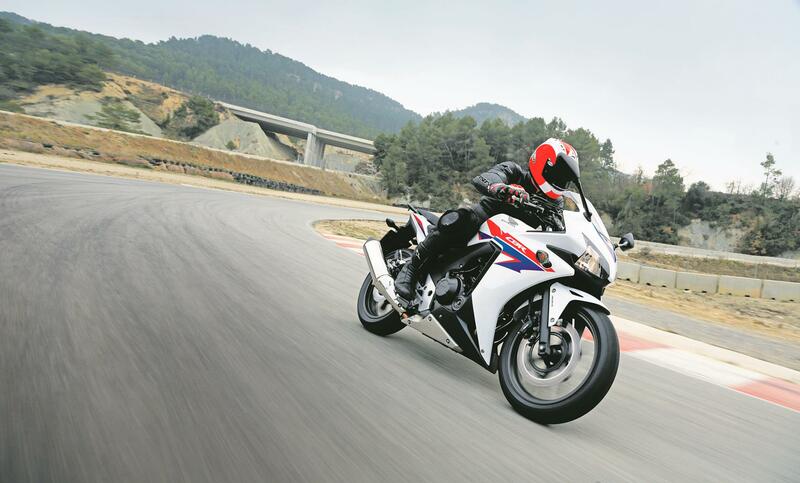 Handling-wise the CBR500R exceeds expectations. Around town or at commuter speeds its typical, easy, comfortable, smooth Honda: responsive, well mannered, light and manageable, glitch-free. Up to and including brisk travelling it’s all hunky-dory and never going to catch anyone out. Instead, the slight surprise is that, when pushed pretty hard, the CBR holds its chin up as a fairly credible sports bike. There's enough pep in the CBR’s upper reaches to entertain and satisfy. There’s no real leap in power anywhere, but it does keep building and building. Low down, around town it’s grunty enough to be practical and easy and in the mid-range it’s impressively smooth (thanks to the 180-degree crank and balance shaft) and just gets on with it. And yet, above 7000rpm and up to the 8500 redline, the CB truly revels in having its neck rung. 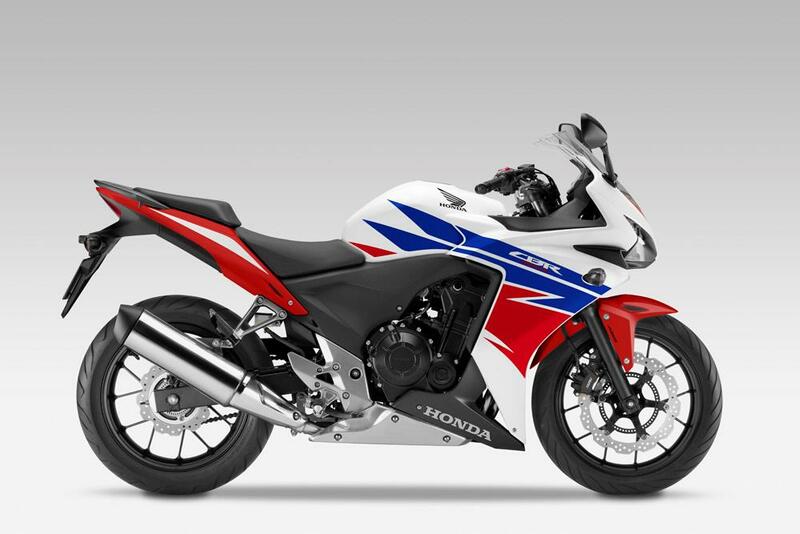 Although the CBR500R is clearly built to a price it's still a Honda and as such reliability shouldn't be a problem. Built to a price but high-quality and fun, the CBR boasts impressive economy. Honda is claiming an average 80.2mpg which translates into a tank range of over 260 miles. This is a cheap bike but it certainly doesn’t feel like it. Under £5k for an all-new middleweight Honda is impressive. The 500R isn't lacking when it comes to equipment. While the levers don’t have span adjusters and the welding on the CBR’s clip-on bars is a tad conspicuous, I struggled to criticise anything else: There are quality touches such as the silencer end cap and decent grab rails; switchgear and instruments are both good, as are the mirrors. Honda offers a wide range of accessories (including heated grips, a taller screen and hard luggage) for the bike. 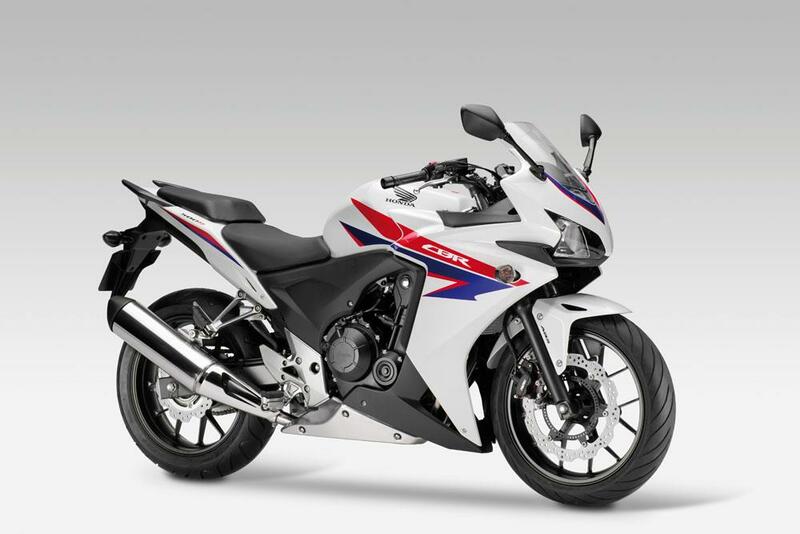 10 owners have reviewed their HONDA CBR500R (2014-on) and rated it in a number of areas. Read what they have to say and what they like and dislike about the bike below. I have had bikes since I was 3, racing motocross for 10 years and then having a road bike for the first time at 17. I now have a GSX-R750 but nothing will compare to this bike on which I experienced my first knee down, my first ever tour and the list goes on. It's why I fell in love with motorcycles and I owe it my life, I still think about the great days we had together. It had a soul and mine hasn't recovered from selling her yet! The ride quality is good in terms of it being a Jack of all trades, not too firm so as to break your spine over long distances (having done 650 miles in one day) it's the perfect small tourer. It's not so soft that you can't push on and find the limit of the bike easily in the very best way. I felt like Mick Doohan or Vale scraping pegs on every bend and maxing out the engine, the GSX-R just doesn't bring that much joy unless you're on a track. I did 35,000 miles in two years, I did all servicing myself and I'm still on the original battery. It's bulletproof, nothing can stop it apart from the 125mph barrier... that's a struggle unless you're heading downhill. It's pushy, but not nearly as fast as a 600cc bike. It makes up for it with the sheer delight of getting everything out of it. It's Honda, don't let the smaller engine fool you. It can go for miles and miles, I did nearly 40,000 on mine and got it written off as a CAT D and you'd never know it had done 1000. I would take it around the world with me now without even changing the oil. The Honda has a good ABS system but without TC and anti-slide. It doesn't need it due to the power but it just makes you feel like you're completely in control which is why I moved on to the GSX-R. I fitted some Bridgstone S21 tyres and it transformed the ride. First and last Honda i will be buying. Sub standard vehicle and worst dealership experience I've ever encountered (Dobles). In the dry it's nicely planted although too soft at the rear which makes it squirm in such a way that it affects the handling overall. In the wet it's spinning up with hardly any extraordinary throttle input and the front will slip if you are not careful - in this respect I would not put my worst enemy on this machine as a new rider. Mopeds will blow you away in first and second, 3rd up is good for a buzz in the dry but my god do you have to work it. First, the petrol cap seized up within the first year and had to be replaced alongside the ignition barrel, was replaced under warranty luckily otherwise expect a £600 bill. Head bearings were shot within the first year, never experienced this on any other Japanese bike. I'm sure they never greased it up properly in the factory. Out of mileage warranty (£250). Passing filter switch not working within 13 months although this was down to Dobles mechanics damaging it when replacing the clutch cable then they denied it. Clutch cable shot after 13 months - never experienced this again on any other Japanese manufacturer. Chain and sprocket were shocking after one year and needed replacing (£200). The ABS disc looks ten years old after one year. Looks are good but the bike is too skinny and needs a bigger petrol tank and overall dimensions. This bike has cost me more to maintain than a K9 GSXR600! Maybe I got the duff one but overall I'm never buying a Honda again. Everything I've mentioned is a fifteen month review. Not worthy of its price at all. For £1,000 more I can have a Kawasaki Ninja 650 which is more powerful, factory fitted with slipper clutch, dual front disc brake. Reasonable power & torque. Running very smooth. Overall quality is good. Nothing rattle or vibrate so far. Just disappointed by the cheap looking swingarm. Annual service cost is acceptable, not much different with other model or brand. Fuel economy is fairly good. No gear position indicator, spool adapter. Badly design storage compartment, water gets in every time, as well as dust or grime come in from below. Regret buying this, not worth its price at all. I should have gone for something cheaper or spend a little more for a Kawasaki Ninja 650. Surprisingly smooth and torquey for a 500cc, which makes it feel bigger than it is in the real world, and so much more fun/easy to handle compared to large displacement bikes. Things like LED lights, very effective little fairing, super MPG and range, with the usual Honda finish makes it a class act, that you don't need to trade in when you get more experience. I traded down from more cc! Plush ride is a real surprise for what could be a budget bike, handling is very good to about 8/10ths, with the new updated suspension. Brakes very good, 2 finger stopping. Rides to Germany and back, no problem with the effective fairing. Very good torque for a 500cc, only thing wanting is a little more top end, but then it wouldn't be a 500cc A2 bike. More power than you need to get out of cars, especially below 120kph. Very smooth engine for a twin. Honda like. Zero issues, nearly a quality looking as a VFR800F! Very inexpensive 1st service vs 4 Cyl bikes, long maintenance intervals. Simple, bullet proof. + Finish is high quality, like the bronze engine finish, LED headlamps, adjustable suspension and levers etc. + Added available Heated grips, nice, and USB plug. - Could use a Gear indicator and Outside Temperature Gauge, otherwise complete. CBR 500R A2 Best bike? Good bike coming from a 125 t the mandatory A2 license. This bike is excellent but just misses a bit of sportiness and character comapred to alternatives such as the KTM RC390. However, this has much more of a foot in the practical camp as well where as the KTM is just pure out little race bike. Ride quality is superb although i find that at low rpm's trying to keep a steady 30 mph can be feel quite jerky sometimes, this may be due to my exhaust i've installed and haven't yet re-mapped. I've ridden a inline-4 and found it much smoother so perhaps this is just a trait of a parallel twin engine. Single cylinders seem to be the same. Going through the rpm's and gears though is lovely. It just seems it want's to get up and go. Brakes are not as strong as i like especially the back, never having an abs bike before i'm not sure i like it as i feel the abs kicks in quite early. Engine runs sweet as, throughout the rev range. As mentioned before holding a steady 3-4000rpm is slightly jerky but other than that the engine is perfect. It really has some go between 5-8000 alothugh i often keep it between 3-4000 for town & city riding. The engines surprisingly doesn't start to cut out and stall until as little as 1500-2000rpm. You really have power throughout the rev range which is really good for new riders. it doesn;t take much effort to ride this or get it going compared to a nija 300 which you need to rev the beans of to get it moving. However, personally i think i prefer if the engine did have a higher rev liit as the 8000 comes a little too soon. Reliability 5/5 never had a problem, quality i'd give it a 4/5. The gear box can be quite clunky at times. Overall the finish is really good for the price. Just a service via the recommended miles. Chain and sprocket have done fine, the standard tyres needed changing at 5000 miles. Standard tyres are okay along with sprocket and chain but when changing i would upgrade to something better but it's not something that i would rush to change. Actually a great first bike with plenty of power on tap, very forgiving but with more than enough power for average country roads at motorway cruising speeds. Great fuel economy and a relaxed riding position. If you want a motorway cruiser there are better out there. Likewise if you just want a track bike this might not be for you. Taller that 6ft 2" then you may struggle on long cruises and certainly if you ride two up then move on. Would I change my mind in hindsight about buying this bike? A definite no is the answer it looks the nuts (mini fireblade) and is great fun to ride whilst not having that sportsbike tank hugger pose (which really kills the back). The fuel economy is great and hopefully because it is a Honda visits to the repair shop will be low. Front brakes does the job but by no means are the best but come with ABS as standard. Ride quality in the twisties are good and where the bike is best. You cannot really ride pillion (Unless you are both light and you are very friendly with the rider). It is a really good all round bike for one. If you are tall then you need an aftermarket screen otherwise prepare to freeze in winter or get neck ache. Very good for a twin, power is smooth across the rev range. One or two gears out there is more than enough torque to get good power delivery. Compared to the 650F you have to ride it a bit harder to get good progress but i feel you get to use more of this bike on UK roads. I average about 76mpg with a mix of riding. Very cheap to insure, servicing i guess is about average. Getting aftermarket parts can be difficult for the 2016 model. There is no gear indicator. ABS is standard. Really dislike the rear number plate assembly so think a tail tidy is needed also a radiator guard is probably needed as after a week the front radiator had a few stone bends in the fins. I paid £5100 including first service (apparently RRP is £5599) in October there were plenty of deals to be done. Motorbike journalists may not enthuse over a bike like this, but for me it has everything. Fun to ride on the open road but also spot on for urban use - a perfect all rounder. Looks like sportsbike but comfortable as well. It ticks all the boxes. The ride comfort is excellent. I'm over 6 foot tall and can ride for 3 hours with no discomfort thanks to the low seat (785 mm) and relatively high bars. Standard screen and fairing does a really good job of deflecting air. The engine pulls smoothly from as low as 1500 rpm, has perfect fuelling on bog-standard petrol and can hold a steady speed in built-up areas without any snatching (unlike my previous KTM 690 Duke), Even running-in has sufficient power and torque to hold its speed uphill and into a strong headwind. Over 250 miles, 92 mpg checked brim-to-brim. Running-in at maximum of 5000rpm. It has everything I need without switchable maps and riding modes. If I am picky it could do with a gear indicator but a previous 2010 Fireblade didn't have one either. Bought from a Honda dealer (Newcastle Motorcycles). No pressure, decent length test ride, happy with part-exchange price, personal service. Paid advertised price £5599. I think it is excellent value for money. Great ride quality, but would benefit from double front brakes when dealing with speeds of 120mph, the chassis loves hard corners, but braking with one brake means earlier braking and a slower ride. Great motor, would benefit from a high rev limit as 8.5k redline is reached reasonably quick. Although in 2015 I had two recalls on my CBR, they were quickly taken care of. The bike feels the same as when i bought it 7000 miles ago. £28 per month service plan is good value. Honda have exceptional customer care. So far, 3.5 - 4.0 L/100k......impressive eh? Good value and it looks like a fast Honda... even though it isn't really. Looked like being king of the budget sporty bikes for a while. Then the MT-07 rocked up and I wish I'd bought that instead. Maybe I will. Good if you're stuck on an A2 licence though and restricted to 47 bhp which this is and the MT-07 isn't! Solid if a little unspectacular. You soon get a bit bored of it. Maybe I can take the A2 restrictor kit off... oh no I can't it hasn't got one. this is it. Furry nuts and bolts after a while. Basic - you get what you pay for. In this case, not much!